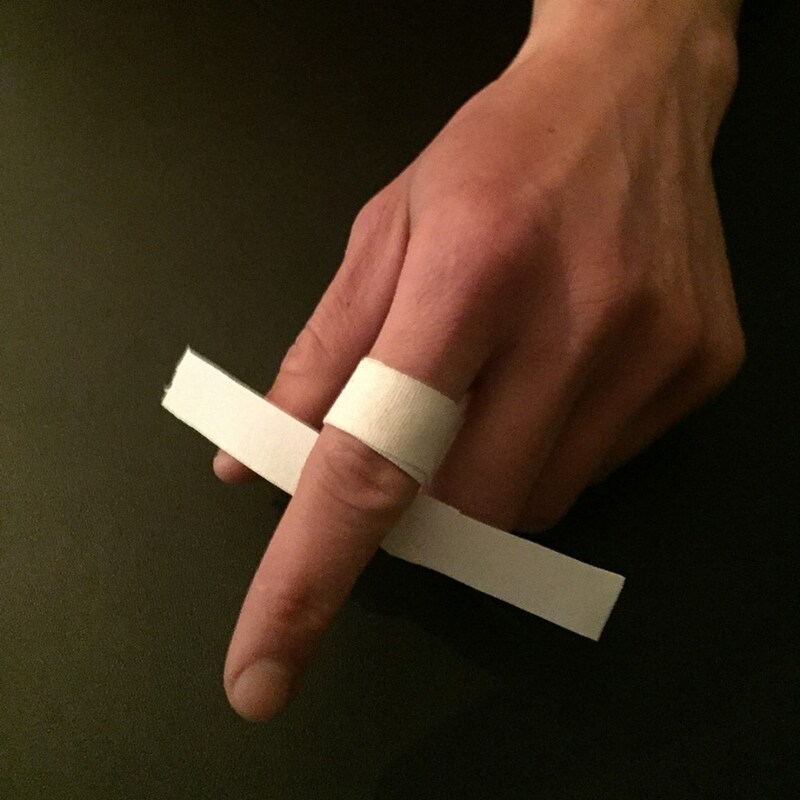 There are many different taping techniques out there to support healing finger injuries. Here we outline some of our favorite therapeutic taping methods. Our biggest tip: don’t overly rely on tape as it can become a crutch, but do use it during the healing process (first 6-8 weeks after injury). If you have a sprained ankle you wouldn’t want to use a brace for years afterwards, and it’s the same with taping. You eventually want your finger to learn to support itself and do the healing from the inside out. You can use regular athletic tape or Leukotape for stiffer tape when H taping. H taping is a great way to add structural support to healing pulley injuries. This method should be utilized while climbing, but should not be worn during home exercises, sleeping or therapeutic loading. Step 1: use 10 cm x 1.5 cm tape strip (approximately). Cut the tape in half longitudinally, leaving a 1 cm bridge in the center. For more info around H taping, see our Pulley Taping article. 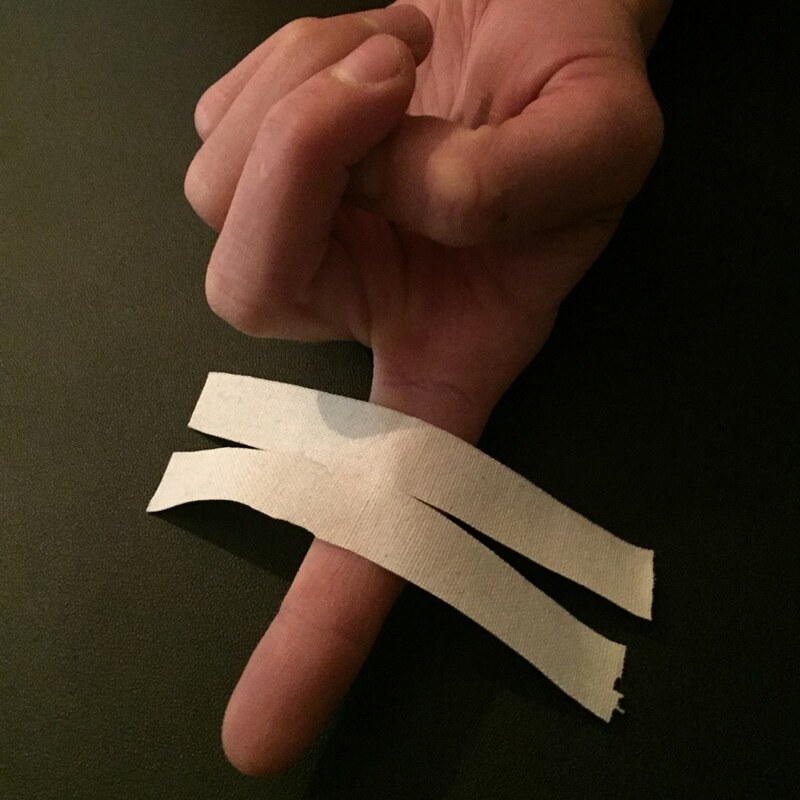 Buddy taping can give your injured finger a supportive friend while climbing through the rehabilitative process (about 6-8 weeks after injury). 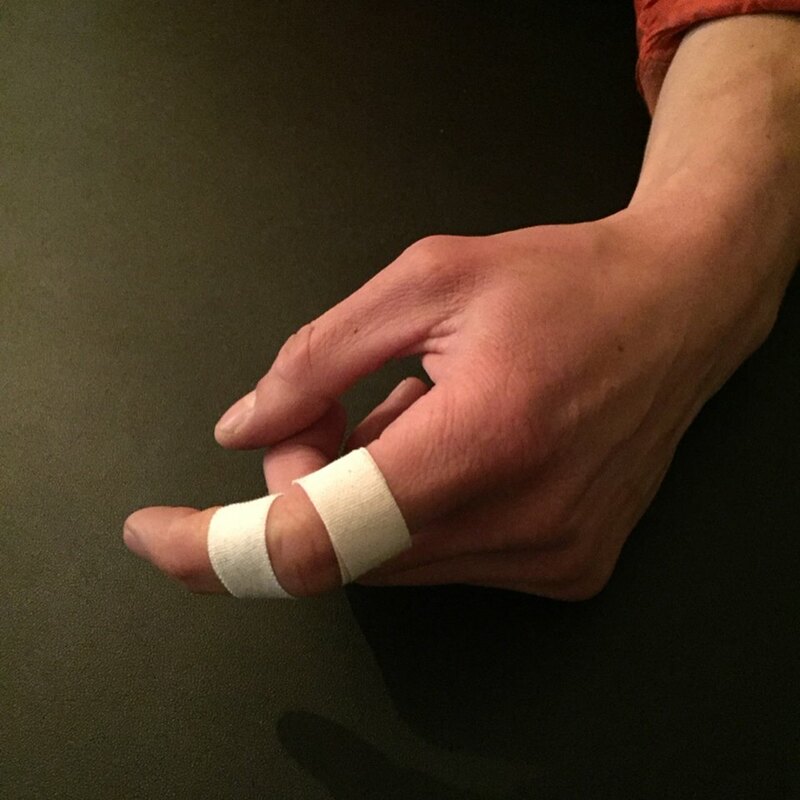 Buddy taping is not recommended for acute injuries or during rehab exercises, but after you are re-integrating climbing on a healing finger. If you find yourself needing this method 8+ weeks after injury it can be a sign that things are not healing properly and should have the finger checked out and/or look at your activity level. If swelling in knuckles/fingers persists it’s helpful to use compression to push stagnant blood and fluid out of the finger towards the heart. 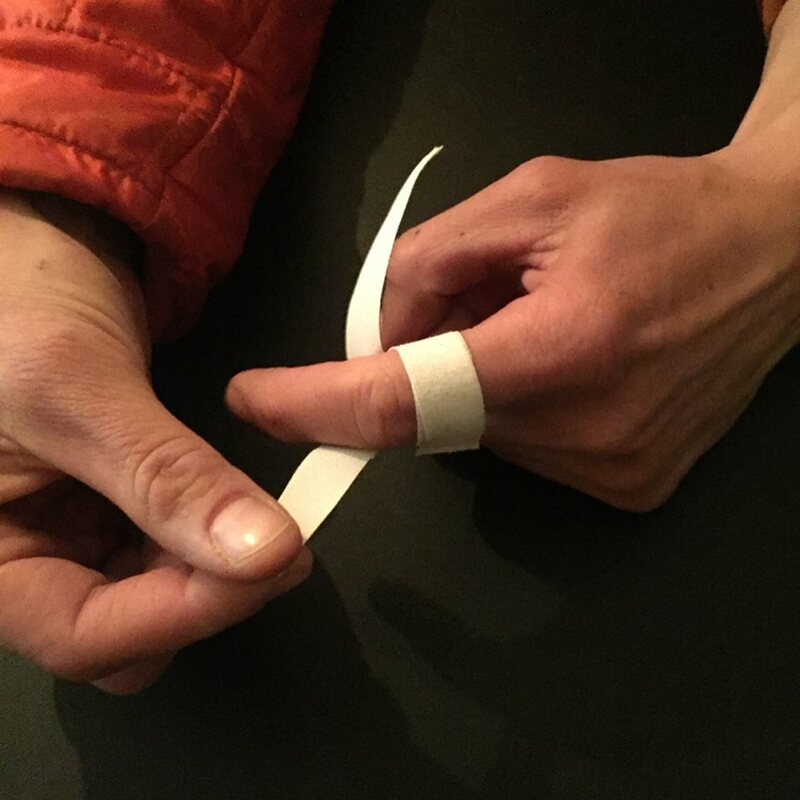 With this taping method start with pressure at the tip of finger and reduce pressure as your progress down towards the hand, wrapping the tape in a spiral to cover half of the laid strip. Make sure your nail beds maintain blood flow and you do not feel any numbness from the compression tape. Wear at night and during the day if needed/possible.